Staff Picks for November 16, 2016 – Peter Panzerfaust, SLAM!, Bad Machinery and More! After over a year on hiatus Kurtis J. Wiebe and Tyler Jenkins’ magical World War Two retelling of J.M. Barrie’s classic Peter Pan returns to shelves with the series’ penultimate issue. When last we saw Peter and his Lost Boys, Paris was in flames and the French Resistance on its heels. In this latest issue, the final clue to Hook’s whereabouts is finally revealed and Peter leads the Lost Boys and a pod of mermaids to his secret base of operations in Cherbourg for one last duel. One of the most underrated series of the last few years, Peter Panzerfaust was shelved by the creators, despite widespread critical acclaim. The series couldn’t sustain itself due to low sales, leaving Jenkins little choice but to find paying gigs. 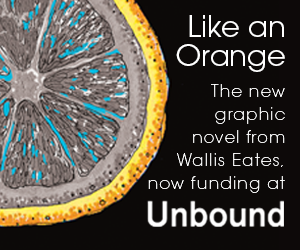 If that little gruesome fact about creator-owned comics doesn’t induce you to support your favourite indie books with more passion and diligence, then you haven’t been paying attention. 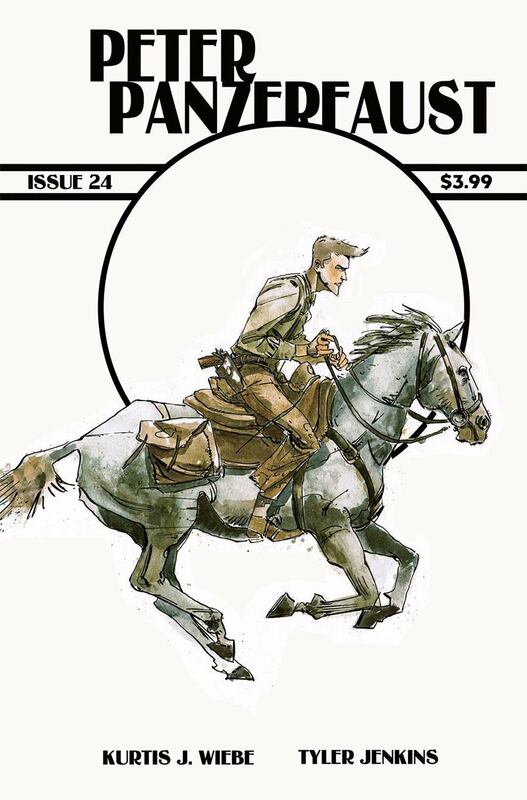 Books like Peter Panzerfaust and Ed Brisson’s brilliant The Violent (cancelled due to low sales) need loyal audiences to sustain them. Without dedicated and diligent consumers, creators have no other choice but to seek out other avenues of expression to pay the bills. So don’t let what happened to Peter and the Lost Boys happen to your next favourite creator-owned book and help the creators take their work straight on til morning, yeah? Scientist Boone Dias travels into the “Ether” in order to find explanations for the supernatural. In Agartha, the capital city of the Ether, magic is commonplace, but it’s science they’re skeptical. That’s why when the protector of their city, The Blaze, is murdered, they look to Boone to use his foreign concept of deductive reasoning to solve the mystery. 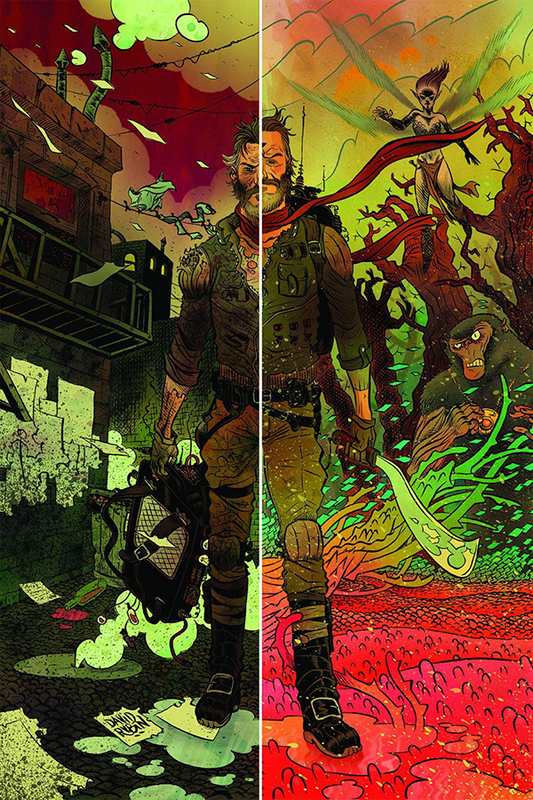 This wild, multi-dimensional thriller brought to you by award-winning creative team of Matt Kindt (MIND MGMT, Super Spy) and David Rubin (Battling Boy: The Rise of Aurora West) finds the perfect balance of being both smart and fun, with many layers to the story just waiting to be explored. I can’t wait to see where this story goes. Ships with a variant cover by Jeff Lemire. 2016 was a good year for Canadian publisher Chapterhouse Comics. They bolstered their already diverse stable of books with an eclectic slate of titles including, Die Kitty Die!, The Fourth Planet, Northguard, and Life, Death, and Sorcery. 2017 looks to be the year of the homegrown Canadian superhero with a number of new books on the schedule. 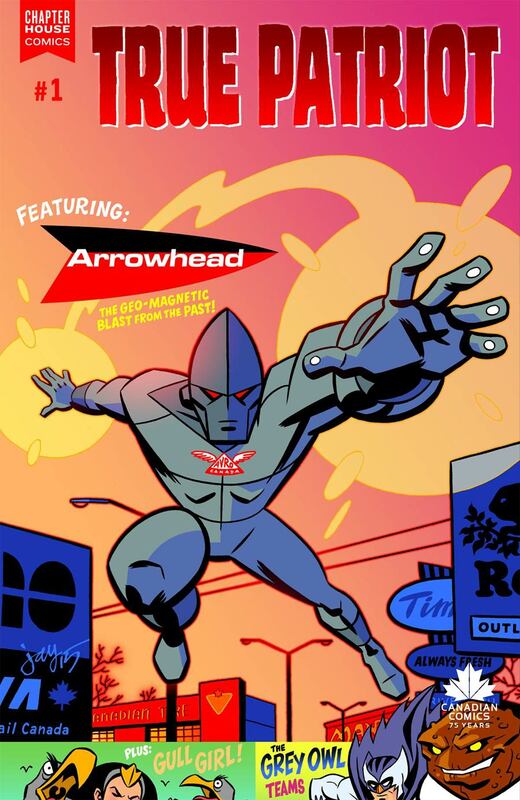 Arising out of a couple of very successful anthologies, True Patriot Presents is the brainchild of J. Torres and serves as something of a launching pad for bold, new creator-owned Canadian superheroes. This first issue provides introductions to three such heroes in a trio of extremely well-crafted, lighthearted stories that are appropriate for all ages. Grey Owl cheers up Tundra of the Family Dynamic in a tale that takes place in the mystical Thunderland that hides behind iconic Niagara Falls and the despotic Gull Girl’s rise to power provides a strange bedtime story for young boy living in an uncertain future. The main feature, delves into a forgotten period of Canadian history as the young men behind the high-flying Arrowhead make short work of a gang of bullies. A fun, tongue-in-cheek collection of all-ages comics that still manages to deal with some timely social issues in an unintimidating, distinctly Canadian fashion, True Patriot Presents is a welcome addition to Chapterhouse’s catalogue and represents a bright light on the local comics publishing scene. 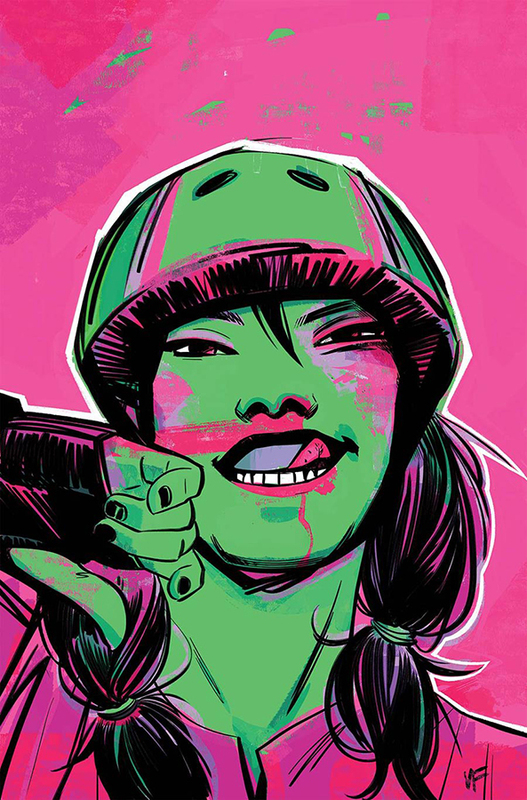 I’ve always said that we need more comics about Roller Derby, or at least one really cool one and this one looks like it fits the bill. Pamela Ribon (Rick and Morty) and artist Veronica Fish (Archie) bring us this new series filled with tough female characters from diverse backgrounds competing in the faced-paced, hard-hitting sport of roller derby! 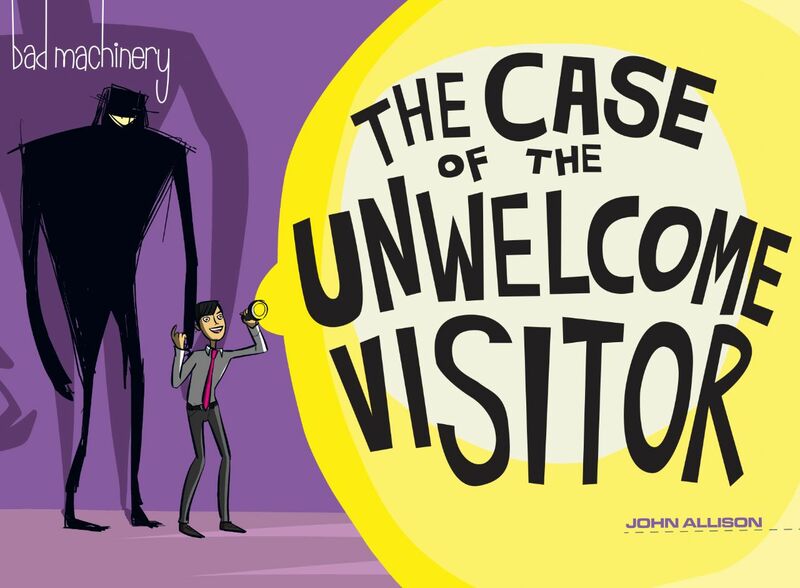 The sixth volume of John Allison’s long-running webcomic series comes to print this week with its usual mix of wit, intrigue and teen adventure. Set in the northern British town of Tackleford the strip follows the exploits of a number of the local school kids as they investigate the latest mysteries to befall their small community. 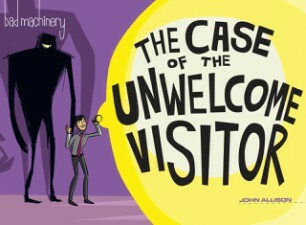 In ‘The Case of the Unwelcome Visitor’ Linton, Jack and Lottie’s summer holidays are spent dealing with not just their various family worries but also the strange presence of the Night Creeper whose nocturnal prowlings are having their own bizarre effect on the local residents. Unmissable all-ages fun.